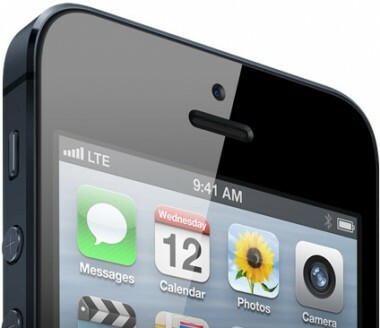 The iPhone 5 indeed has a pretty face. That’s the conclusion of research firm DisplayMate, in a report released Monday. More technically, DisplayMate says the new iPhone has the highest contrast rating of any mobile device it has seen, along with improved screen reflectance and significantly improved color quality and color accuracy. All that adds up to the best screen the company has seen on a mobile device. “Based on our extensive lab measurements the iPhone 5 has a true state-of-the-art accurate display — it’s not perfect and there is plenty of room for improvements (and competitors) but it is the best smartphone display we have seen to date based on extensive lab measurements and viewing tests,” DisplayMate said. DisplayMate did have a few niggles. “The white point is still somewhat too blue like most smartphones, and at maximum brightness it has a shorter running time than the iPhone 4, which is not surprising since it has a larger screen and a larger color gamut but roughly the same capacity battery,” DisplayMate said. For all of you super-techies, DisplayMate has tons more details in its report, including some comparisons with the Samsung Galaxy S III.